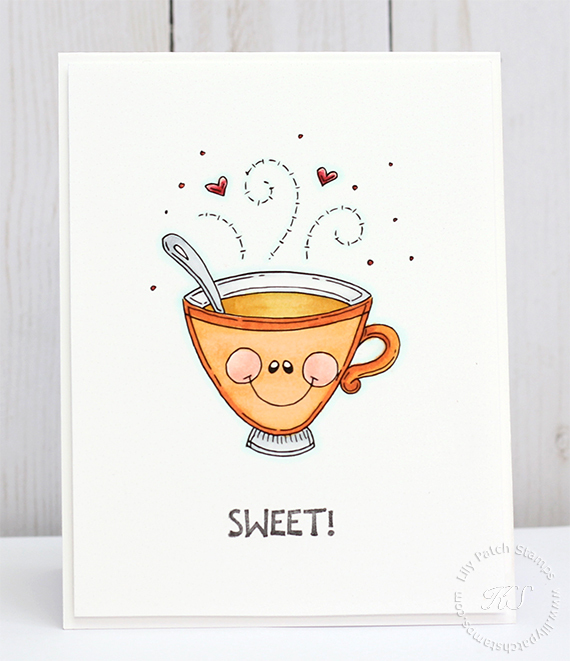 I found this Meljen image called Cuppa Tea and took a break from homework to color it up for the Fall Coffee Lover's blog hop. I kept this really simple and only used a few markers to add color and shading. The last thing I did with added a light shade of blue to outline the image and stamped the sweet sentiment. This is such a "SWEET" card. So pretty, love the clean + crisp design. Super cute CAS one, love it! And what a sweet card it is! Love that darling image. LOVE this adorable CAS card! Super cute card and image. oh my that is the sweetest cup image!! Love this!